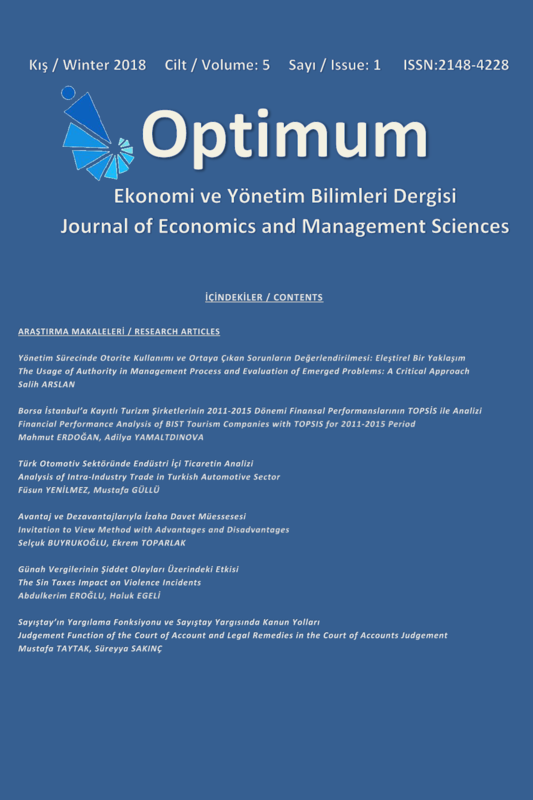 Optimum Journal of Economics and Management Sciences (e-ISSN: 2148-4228) is a peer-reviewed and open access electronic journal published twice (January-July) in a year. The Journal includes international papers about economics, business administration, public finance, international relations, econometrics, public administration and political science with the aim of providing a field for academicians, researchers and professionals interested in these fields. The papers can be sent in Turkish or English languages. Optimum Journal of Economics and Management Sciences is an Open Access journal. The journal is an Open Access journal and provides immediate open access to its contents. The Journal aims to promote the development of global Open Access to scientific information and research.The Journal does not charge any fees for article submission or article processing. Please click for the statistics of Google Scholar.